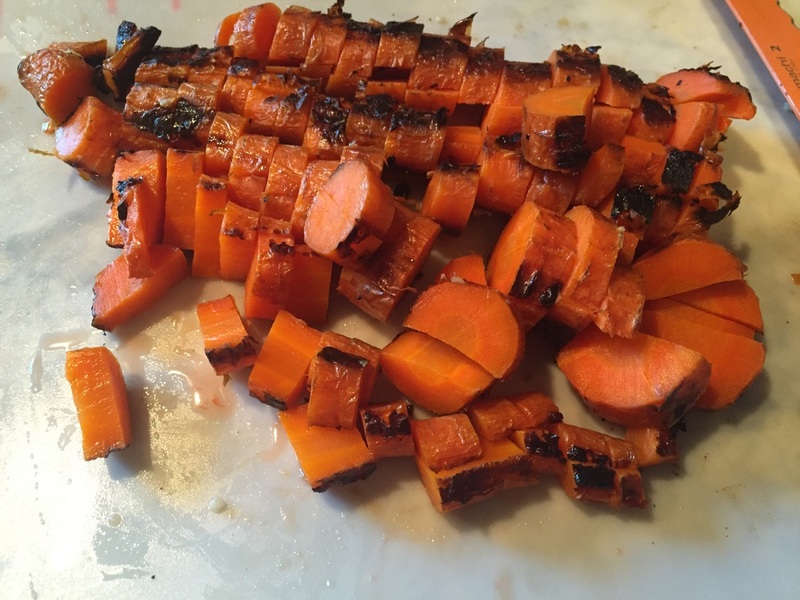 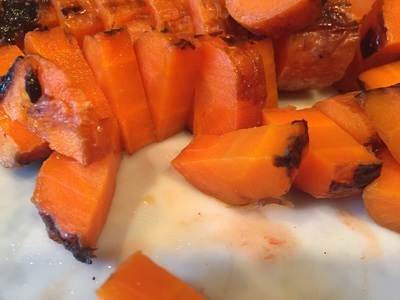 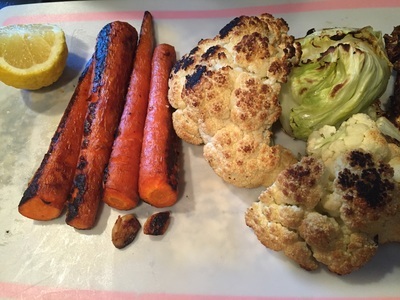 Roasting Vegetables is my favorite way to eat them in any dish. 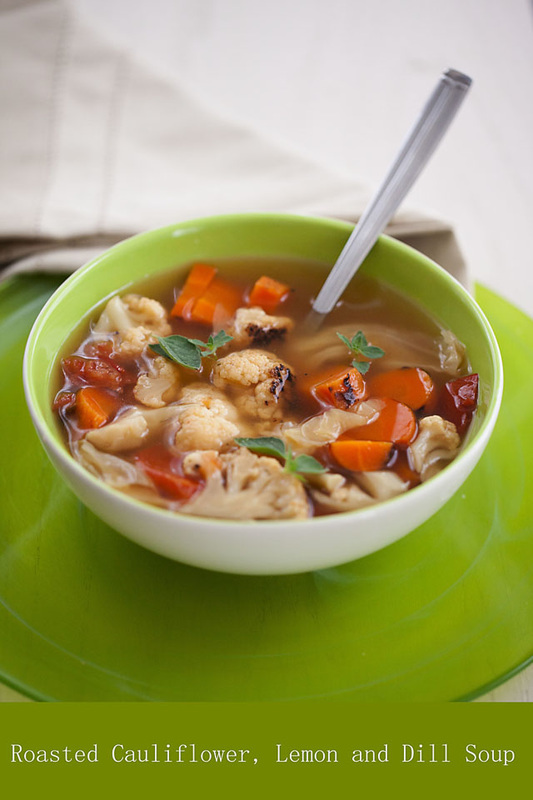 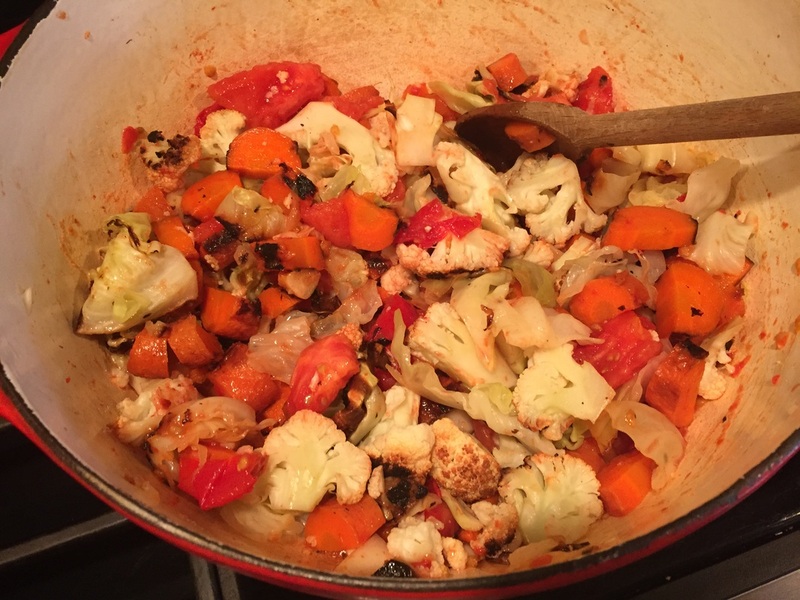 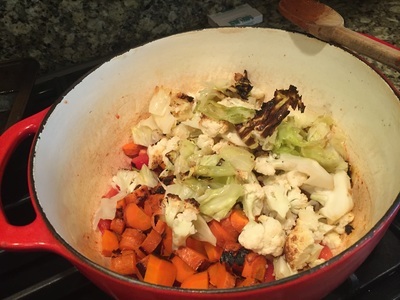 In this soup I roasted Cauliflower, Carrots and Cabbage. I made the broth from the cauliflower core, carrot ends and cabbage core and water. 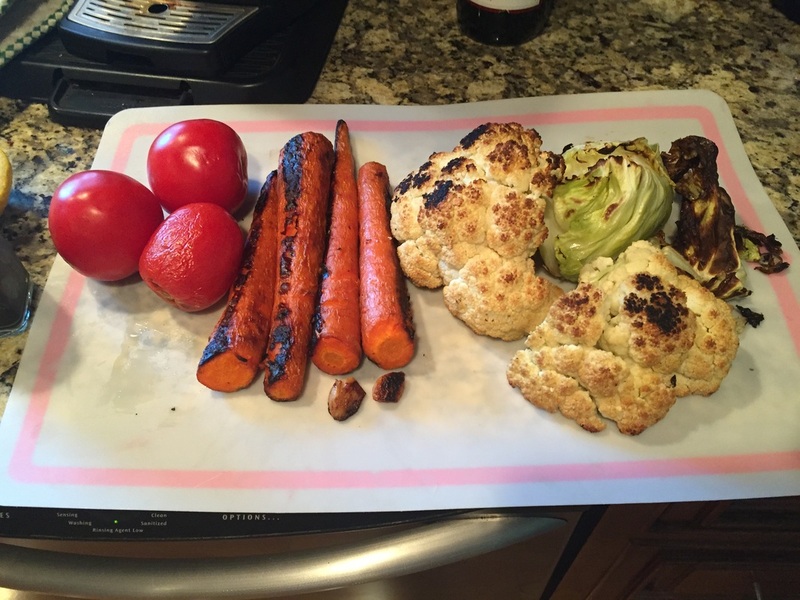 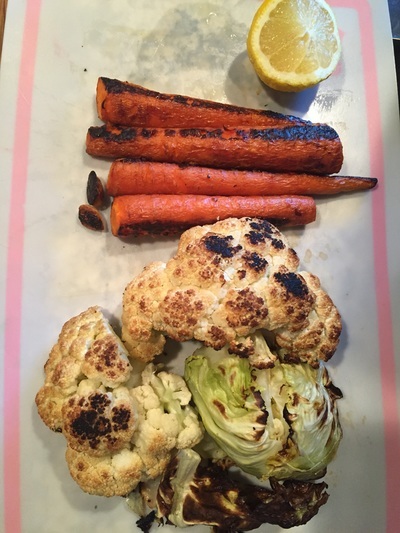 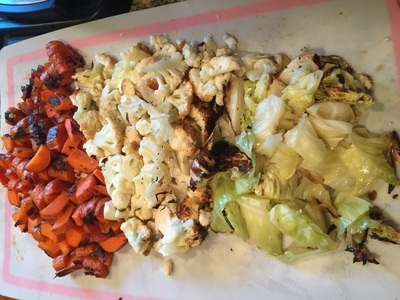 On a roasting pan place Cauliflower, Cabbage and Carrots. Roast in 425 * oven until veggies are brown and fork tender about 20-25 minutes. In Soup pot add vegetarian broth and roasted vegetables and chopped tomatoes. 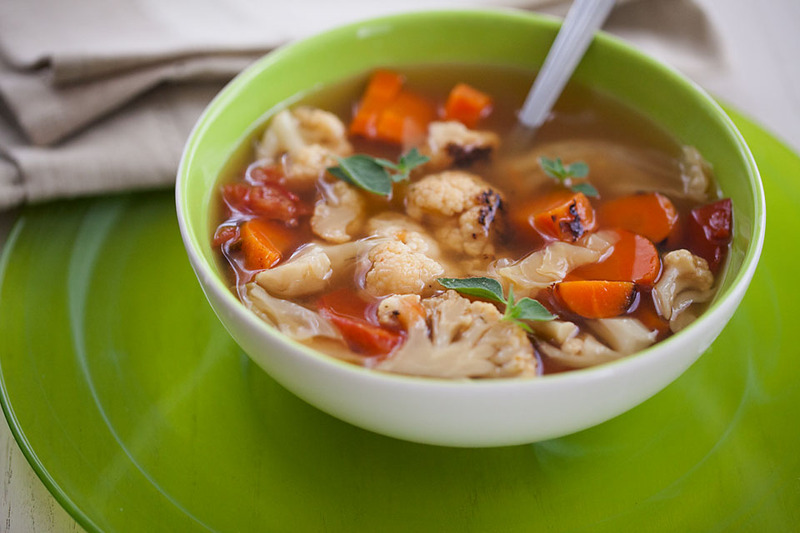 Bring soup to a boil and then turn down. Add dill, salt and pepper and a few squeezes of lemon. 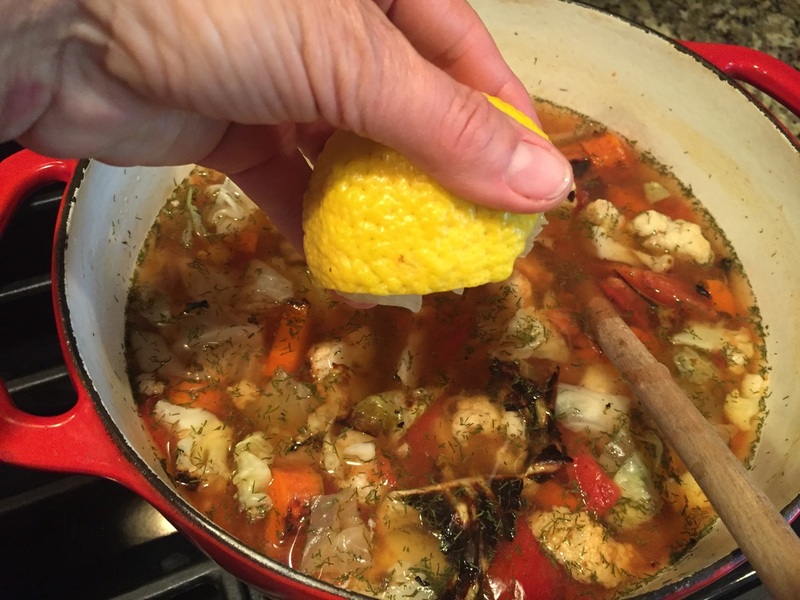 Taste and adjust seasonings and citrus. 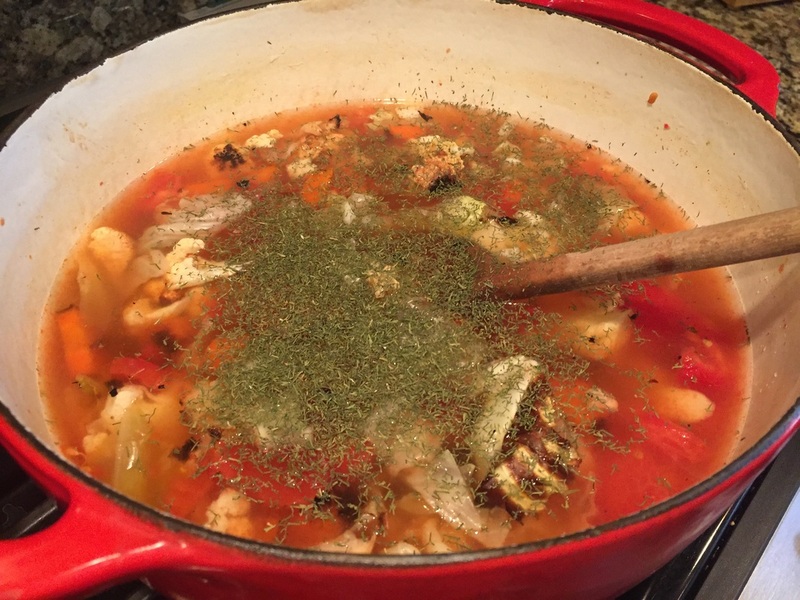 This soup is very easy to prepare but with the roasted veggies, fresh lemon and dill seasoning the taste is delicious!